There’s a lot of talk about submarines again this week thanks to the SubSummit  conference in Adelaide. Perhaps not surprisingly given the venue, much of the focus was on the local versus offshore build aspect. That’s all fair enough—we’re talking big dollars here, and the size of the program is such that all of the potential stakeholders have plenty of reasons to make their pitch. That’s a good thing—the more the various options are explained the better informed the discussion can be. Clearly the government wants to keep ‘Option J ’—a submarine sourced from Japan—open, which is why it settled on its ‘competitive evaluation process ’ to allow for the possibility. Otherwise it would simply run a tender process similar to that for the Collins class for the Europeans to compete. The question then becomes how to weigh the positives and negatives of what are quite different options. But one of the unfortunate downsides of this debate (in fact most debates) is the tendency to talk down the competition beyond what’s objectively true, thus muddying the waters and detracting from the quality of the discussion. There’s no shortage of criticism of varying quality of Option J out there—in fact it’s hard to find much support. In our new paper released today , we take a look at the case for Option J and find that there are indeed some real strategic positives as well as issues of concern. Australia would effectively helping Japan to ‘remilitarise’. We don’t buy any of those arguments. First, Australia would only find itself trapped into north Asian conflicts if it negotiated a submarine deal especially ineptly. If we get the support arrangements we need in place, Japan’s leverage—even if it decided to use it—would be much reduced. Second, China has shown no tendency to punish Australia for being a forthright critic of its security policies to date, and it’s far from clear that they could effectively punish Australia  in any case. Finally, Japan’s moves towards a normalised security posture falls well short of a region threatening militarisation. We think it’s in Australia’s interests for Japan to be more, not less, engaged in regional security. As American power declines in relative terms, having allies and partners around the region that can carry part of the burden of maintaining order will be increasingly important. That’s probably why it’s widely thought that the US is firmly supportive of a possible Australia-Japan submarine deal. Because of these factors, Option J has positives that simply aren’t there in the same way with France or Germany. Yes, they’re both like-minded liberal democracies, but neither has the proximity, the inclination or the regional capability to make a lot of difference in our part of the world. On the other hand, the Europeans offer a wealth of experience in arms exports, and both have successfully exported submarine designs to be built in foreign yards. After our experience with the AWDs , that’s a very strong selling point. the opportunity cost to Australia  of taking the work offshore would be too high. We don’t say a lot about that in this paper. (ASPI has commented here , here  and here  on these in the past.) But it’s almost certainly right to say that the ‘Eurosub’ option offers more local work. 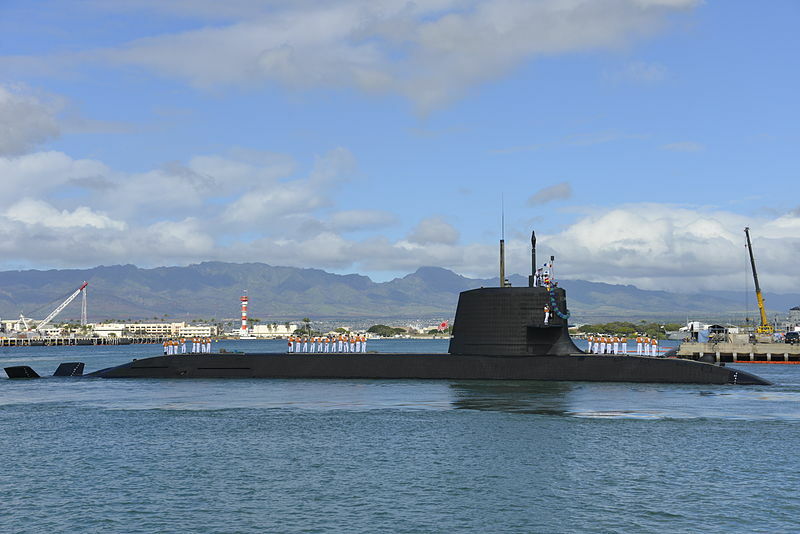 Nor can we sensibly evaluate from publicly available information the capability issues that might arise, such as the suitability of the Soryu-class for Australian mission  profiles and the difficulties that might be encountered in modifying the design for the RAN’s use. That requires government—through Defence—to do its due diligence. Of course, that’s also true of any European option. Our paper shouldn’t be interpreted as an endorsement of Option J. This isn’t an ‘apples versus apples’ competitive evaluation and the two pathways have qualitatively different strengths. But it’s not right to say that Option J offers little in the way of positives. Apart from anything else, it’d signal a further deepening of the Australia–Japan defence relationship and a further underpinning of the US alliance framework, at a time of shifting major power relations in the Asia-Pacific region. Andrew Davies is senior analyst for defence capability and director of research at ASPI. Benjamin Schreer is a senior analyst at ASPI. Image courtesy of Wikipedia.